16th Annual Foreign Policy Gala! 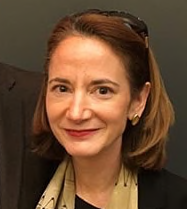 Avril Haines is a Senior Research Scholar at Columbia University, Deputy Director of Columbia World Projects, Lecturer in Law at Columbia Law School, and a Senior Fellow at the Johns Hopkins University Applied Physics Laboratory. She additionally serves as a Member of the National Commission on Military, National, and Public Service and co-chairs the U.S. Holocaust Memorial Museum’s Simon Skjodt Center for the Prevention of Genocide’s Advisory Group. Ms. Haines serves on a number of boards and advisory groups, including the Nuclear Threat Initiative’s Bio Advisory Group, the Board of Trustees for the Vodafone Foundation, and the Refugees International Policy Advisory Council. Prior to joining Columbia University, Ms. Haines served as Assistant to the President and Principal Deputy National Security Advisor to President Obama. She chaired the Deputies Committee, the administration’s principal forum for formulating national security and foreign policy. Before that, she served as the Deputy Director of the Central Intelligence Agency. Ms. Haines also held a number of senior legal positions in the government, including Legal Adviser to the National Security Council. Ms. Haines received her bachelor’s degree in Physics from the University of Chicago and a law degree from Georgetown University Law Center. Thank you for supporting Network 20/20’s annual benefit! This event is critical to Network 20/20’s work. We encourage you to remember that purchasing a ticket not only provides access to a stimulating and fun evening, but will sustain and grow Network 20/20’s work on foreign policy education and people-to-people diplomacy, activities that are increasingly critical in today’s isolationist world.